The exhibition celebrates the 300th anniversary of the famous landscape gardener, Lancelot ‘Capability’ Brown. The exhibition displays a rare collection of drawings that are seen for the first time in newly restored spaces at the Palace where Capability Brown worked and lived. We worked with the Historic Royal Palaces and the Hermitage Museum, St Petersburg to produce the exhibition displays of the drawings, which lay forgotten in the stores in St Petersburg for over two centuries. We designed bespoke cases, which incorporate the graphics, lighting and security and leave the panelled rooms at the Grade I listed palace untouched. We also designed an educational studio where visitors can learn to recreate the drawing styles and techniques. 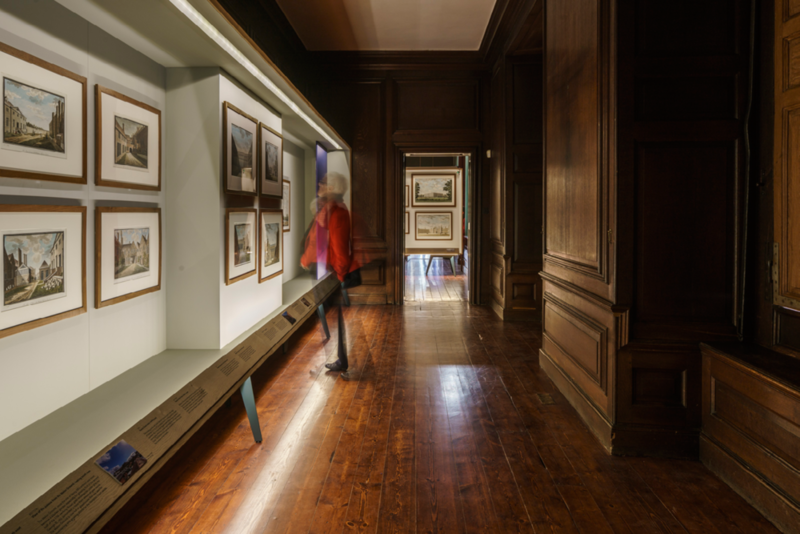 The exhibition displayed new material in a new way and opened up previously under used rooms to the palace’s visitors. It also brought in new visitors as part of Capability Brown’s centenary. The exhibition was open between 28th April - 4th September 2016.
have a great attitude to team working with their client." The Empress and the Gardener Exhibition Curator, Historical Royal Palaces.